Age 50 of Wilmington, passed away peacefully on Saturday evening, January 12, 2019 at his home. Born July 20, 1968, Richard Andrew is the son of Harold Hirsch and Sharon Mae (Littauer) Juster of Bolingbrook. He was raised and educated in Bolingbrook; and went on to honorably serve in the United States Air Force from July of 1986 until his honorable discharge in December of 1990. During his tenure with the Air Force, Rick worked as an in-flight refueling specialist and also acquired his pilot’s license. It was also during this time that he studied Aeronautical Science at the University of California. Rick started his career with the Wilmington Police Department on May 3, 1991 as a Patrolman. Rick was later assigned to various specialty positions and served the department as a field training officer, evidence technician, detective, crime scene specialist, arson investigator, gang suppression specialist, and was assigned to the DEA task force for 3 years. He was promoted to the rank of Sergeant on December 15, 2001. 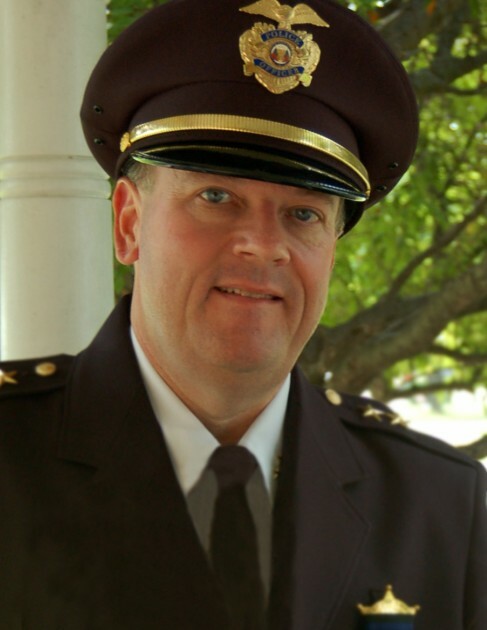 On October 15, 2012 Rick was promoted to Deputy Chief of Police, and remained as second in command of the department until his retirement on March 31, 2015. During his career with the Wilmington Police Department Rick was the recipient of numerous awards, a Medal of Honor, the Lifesaving Award, 2 Felony Investigative Commendations, and 3 Citizen Commendations. He was a member of the Illinois Public Pension Fund Association (IPPFA) and served on the Police Pension Board. In addition to service to his community, nothing was more important to Rick than family, and he cherishing watching his kids in their music and sports activities. Survivors include his parents, Hal and Sharon Juster; wife Kristin Ruda, whom he married December 27, 1996; four children: Kyle (Terri) Juster of Crest Hill, Ashley (Tom) Tijerina of Joliet and Chase Juster and Reid Juster, both of Wilmington, and six grandchildren: Ariana, Gianluca, Giuliana, Alexis, Laylani and Alayna. Rick was preceded in death by his sister, Nicole Juster (1991). Per Rick’s wishes, cremation rites have been accorded. The family will receive friends for a celebration of Rick’s life at Diamond Banquet Hall, 55 S. Daly Street, in Diamond on Saturday, January 19, 2019 from 4:00 p.m. until the time of Memorial and Remembrance at 7:00 p.m. Deacon Jay Plese will preside. Rick will be laid to rest with full military honors at Abraham Lincoln National Cemetery in Elwood on Monday, January 21, 2019 at 10:30 a.m. Family and friends wishing to attend, may assemble at Baskerville Funeral Home, 700 East Kahler Road in Wilmington on Monday morning at 9:30 a.m. A formal procession will depart at 10:00 a.m. Preferred memorials may be made to the family for a Law Enforcement Scholarship, which is being established in Rick's memory.